Includes unlimited streaming of Parker's Mercy Brigade via the free Bandcamp app, plus high-quality download in MP3, FLAC and more. 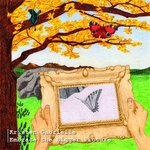 Get all 3 Kristen Gilles releases available on Bandcamp and save 35%. 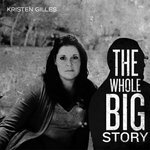 Includes unlimited streaming via the free Bandcamp app, plus high-quality downloads of Parker's Mercy Brigade, Embrace The Bigger Picture, and The Whole Big Story. , and , . ALL proceeds go to Nadus Films (nadusfilms.com), documenting social justice issues around the world and partnering with local organizations to provide humanitarian relief and Christian witness. And because all proceeds go to Nadus Films, when you purchase the CD or digital download, you haven't just bought a record, you've joined Parker's Mercy Brigade. Humanitarian relief and education in Guatemala. Clean water in Sudan. And a powerful new voice for the voiceless, around the world. Group vocals: Justin & Megan Shaffer, McKenzie Kauflin, Jonatan Barahona, Anderson Eddy Baucicaut, Angela Clark, Elliott Lee, Courtney Moore, Kristen Gilles. 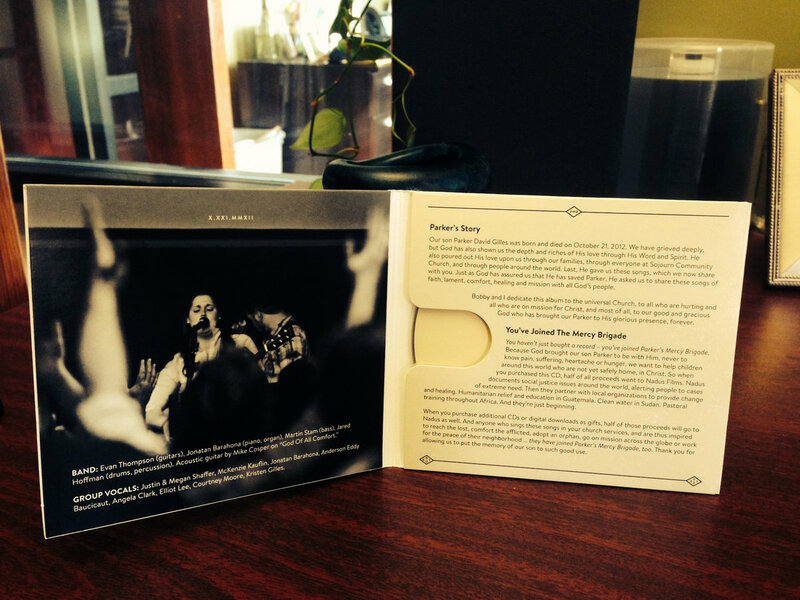 “Awesome Is Your Power” and “Praise The Sending God” by Bobby Gilles, Kristen Gilles and Jonatan Barahona. 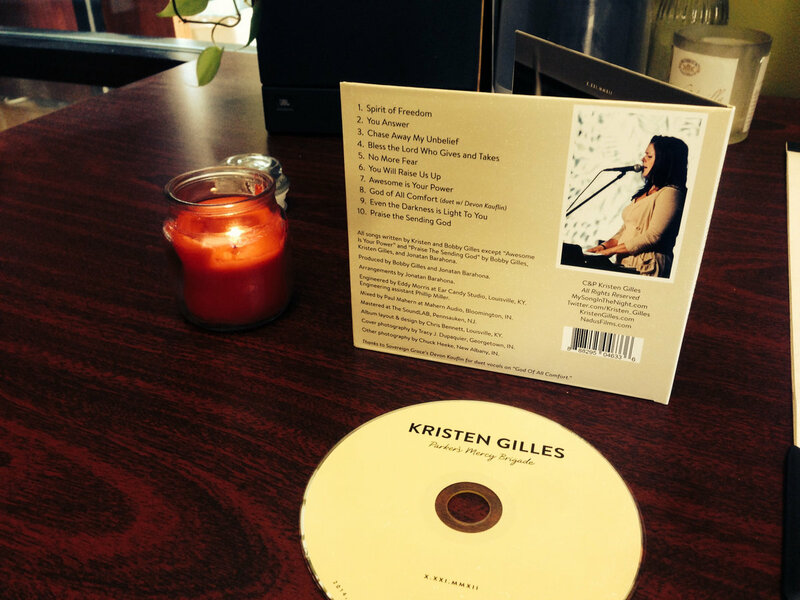 Kristen Gilles is a worship leader and deacon at Louisville’s multi-campus Sojourn Community Church. 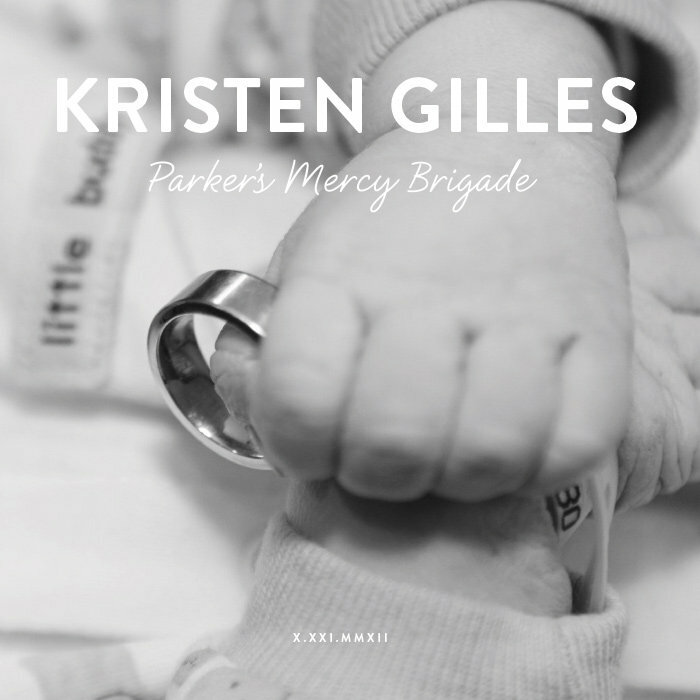 Her new CD Parker’s Mercy Brigade is a story of faith, lament, comfort, healing and worship following the stillbirth of her son. You drive out the air of doom, give the devil chase. You share the power of the cross, to bring us to Your feet. You lift the fallen woman, with kindness she can trust. Through Your Spirit . . .
And in Him beholds the Father of grace . . .
For whom he may devour. And he seeks to slash and burn. We plead and You are there. A kingdom full of life and peace! Help me to trust eternity. Lord, chase away my unbelief. Bless the Lord who gives and takes! O my Savior! You’re mighty to save. If not death, what else would I be afraid of? No more fear! No more fear! Satan flees at the mention of Your name! But joy is an eternal morning! Then, Lord, remind me, Love’s already won. Then we will be home, we’ll all be at home. Your power has no rival! You will raise us up! 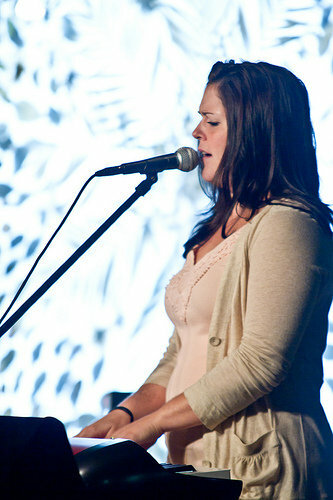 We will sing Your praise! We will lift You high! Ground is breaking! Dead are waking, forevermore! Tell the dying world of our Mighty, Risen Lord! The weak and ashamed, the bitter and proud. Father of Mercies, You have rescued us. God of All Comfort, You now work through us. You warm the heart by the hearth of Your grace. You lead the fatherless to a father’s embrace. To shelter, to love, to heal and uplift. You bring the barren to children in need. You let the poor save us from greed. Father of Mercies, make us merciful. God of All Comfort, Your love’s unstoppable. God of all comfort, we praise Your name! You bring life from a silent tomb! In the deep, nighttime fog, You're still Almighty God. The life in Him we've found. Our God sends! He comes! He came! Our God cares for the people He made! The full attack of hell. He’s strong where we are weak. And Satan's more than beat!